The pair leave for Italy on Thursday and will race against the world’s best Masters skaters this weekend. They will be racing in the marathon- a 42km race taking place in Pavullo nel Frignano near Bologna, Italy. The two skaters have trained very hard for this competition, following a strict regimen of daily work outs, concentrating on proper nutrition, and attending key races. 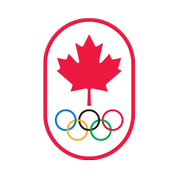 Roller Sports Canada wishes all the best and good luck to Leo and Morgan.